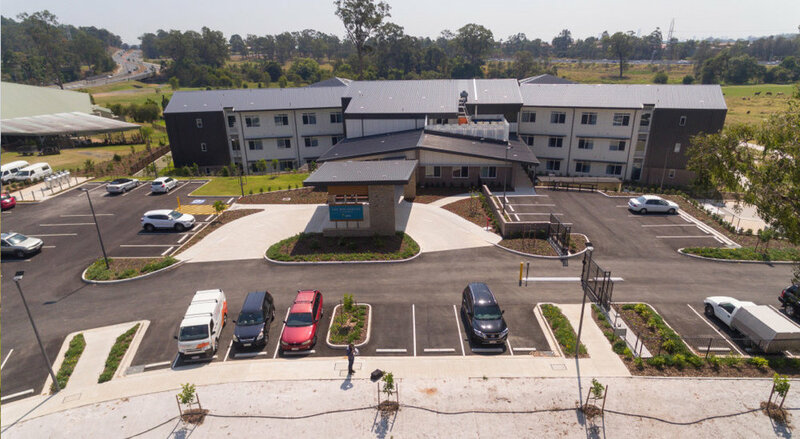 The 96 bed aged care facility is the first stage of Carinity’s Cedarbrook master planned community on a greenfield site at Mudgeeraba. The new 3 level building combines café, salon, wellness centre, dining rooms, lounges, commercial kitchen, chapel and outdoor gardens and BBQ areas with the residential accommodation. Working closely with Paynter Dixon and Thomson Adsett, MPN Consulting provided civil and structural engineering services from master planning through to the construction phase of this project.